The HafenCity University Hamburg — the University Of The Built Environment And Metropolitan Development (HCU) — is the only university of its kind in Europe. 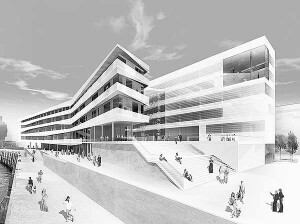 The education and research at the HCU Hamburg are aimed are contemplating and concretising what the future of metropolitan areas could and should look like. Coping with this future will, however, require a systematic interdisciplinary as well as transdisciplinary approach.